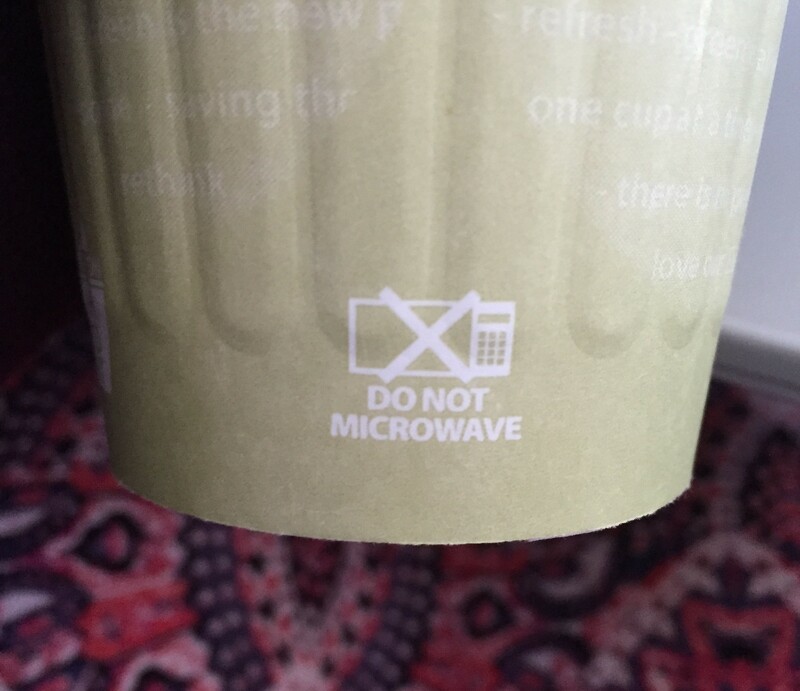 All this time I have never, ever have seen this on a coffee cup. Have you? 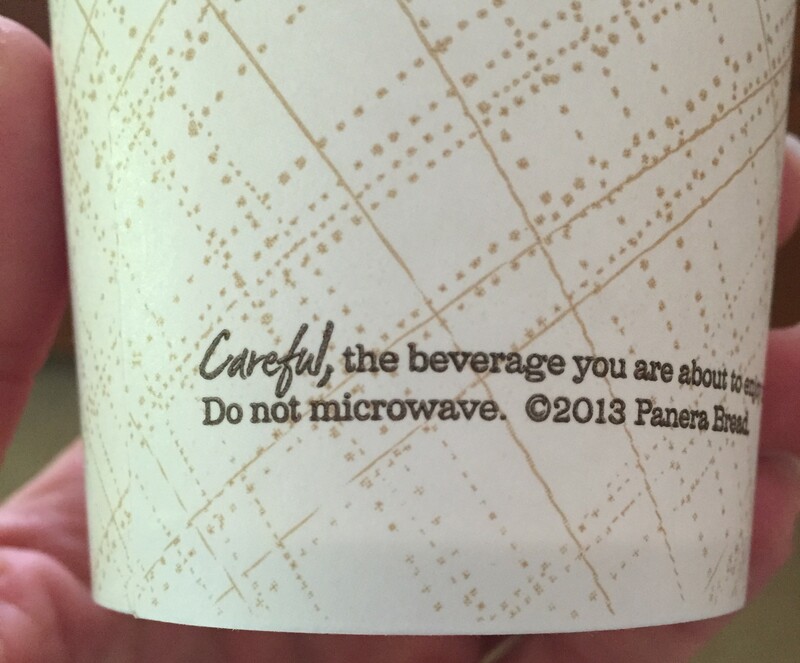 For as long as I can remember I’ve been taking my to-go coffee cups and zapping it in the microwave when my coffee needs a little warming up. So, of course, I had to scope out every to-go cup, and yes, they all say the same thing. How could I have not noticed this? I mean, it makes sense when you think about it. 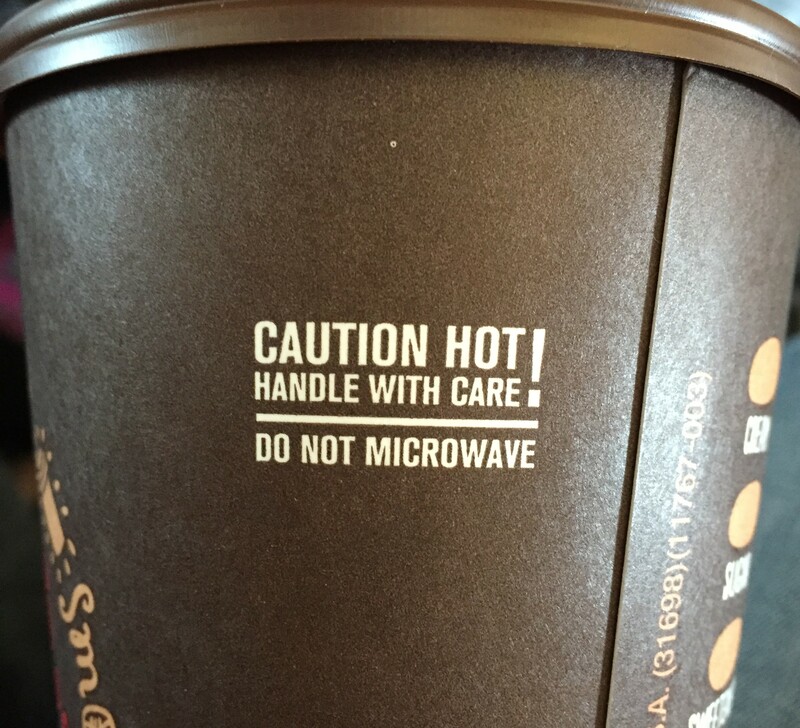 There is probably some wax-type coating on the inside of the cup that could melt into my coffee, seep into my blood stream, and poison me to death. Okay, that’s a bit dramatic, but clearly there is a good reason why they would warn against it, right? I have yet to look this up because all I can think of are how many coffees I have nuked in my lifetime and how terrible that has been for me. Honestly, I don’t need another thing to worry about that will send me down the Google rabbit hole. You know what I am talking about, a hypochondriac’s demise. At that point I will for sure be on my death-bed. Thankful to still be alive, and survived countless reheats thus far, I think I will just heed the warning going forward.